Saint Agnes Health Care, Inc. of Maryland has reported that hackers have gained access to an email account as a result of a phishing campaign. 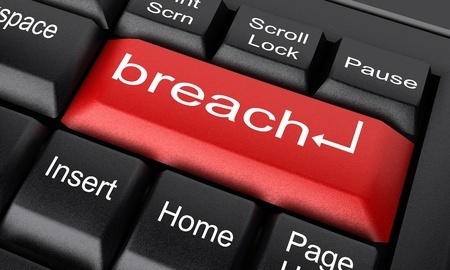 One email account was compromised in the attack; however that user had privileges to access Protected Health Information (PHI) and the account contained the records of approximately 25,000 patients of the facility. Out of the 24,967 records exposed, only four contained Social Security numbers but a considerable amount of data was potentially obtained by the person responsible for the attack. The data included patient names, gender, dates of birth, medical record numbers and health insurance information and a limited amount of clinical data. It is not clear from the notice when the incident occurred, although it was posted on the company website on April 27, 2015 and the incident was reported to the Office for Civil Rights on April 24, 2015. The email account that was compromised was immediately closed as soon as the intrusion was detected and the healthcare provider has been on high alert since. No further threat is believed to remain of further records being compromised, although the hacker responsible for the attack may have been able to copy the PHI of the affected patients. A computer forensics investigation was conducted to determine the extent of the breach and the patients affected. St. Agnes is now taking steps to ensure that a similar breach will not occur in the future. When Social Security numbers are obtained by criminals the risk of fraud is significantly increased. Because of this, Saint Agnes Health Care will be offering credit monitoring services to the individuals whose Social Security numbers were present in the data. This is not the only hacking incident to be reported to the Office for Civil Rights this month. Seton Family of hospitals suffered a major data breach in which 39,000 records were compromised. Concordia Plan Services issued a breach notification to the OCR on behalf of the Concordia Health Plan after a network server was hacked. The incident exposed the records of 12,500 individuals, although at this stage it is not clear exactly what data was obtained by the hacker or when the incident occurred. St.Vincent Medical Group, Inc. reported a hacking incident in which data in an email account was compromised resulting in 756 records being exposed. 5,440 records of the Health Plan operated by the International Union of Operating Engineers Local Unions 181, 320 & TVA Health and Welfare Trust Fund were reported as being obtained in a network server incident, while the ADT LLC Group Health & Welfare Plan also had a network server incident in which 3,074 records were exposed. So far this month, six hacking incidents have been reported to the OCR in which 85,737 records have been obtained by hackers.